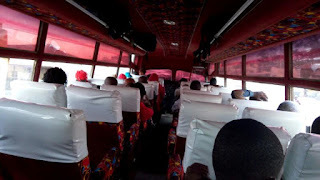 Bus Kenya Would Love To Wish All Travelers,Bus Company's Staffs and Bus Fans A Happy and Easter Holiday. To The Bus Drivers Never Rush To get To Your Destination To Avoid Accidents. Drive Safely and Get Your Travelers Aboard A Safe Travel Of Comfort and Style To Their Destination. Represent Your Bus Company To Be The Pride Of Travelers. To The Travelers Avoid Late Travel Rush Please Visit The Bus Companies Of Your Choice Booking Offices Near You. You Can Also Book Online With The Preferred Bus Companies Online Booking Portals. Safe Travels and Happy Holidays To All. !